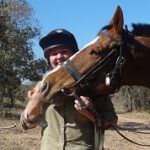 In this edition of ggjourneys, In The Saddle’s Becky Clarke tells of her stay at Hidden Hollow Hideaway in June 2016. It’s been a while now since I visited Montana and still most days I find myself day-dreaming of the wide open spaces, beautiful horses and the immense sense of freedom that comes with having the wind fly through your hair! 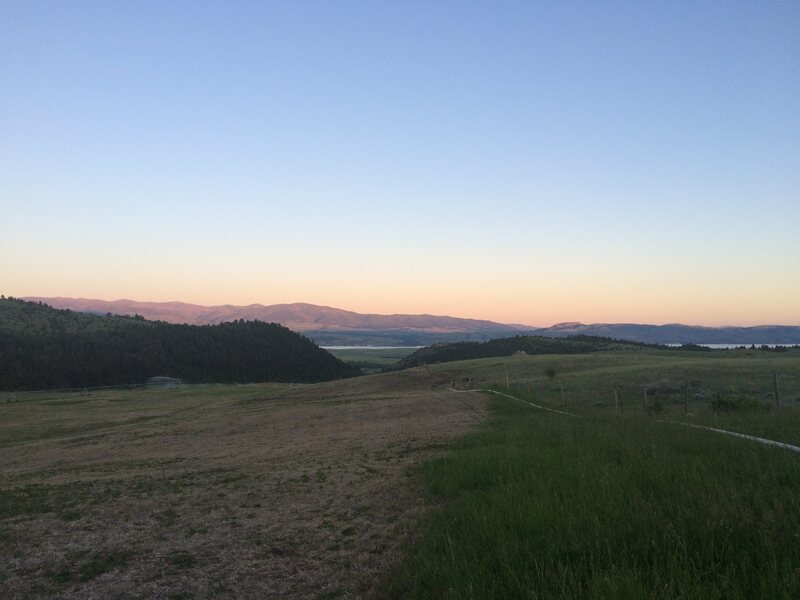 I have been to a fair few places in my life and yet whenever anyone asks me about my favourite, my mind skips back to the days I spent chasing calves and watching the sun rise over the Rockies. 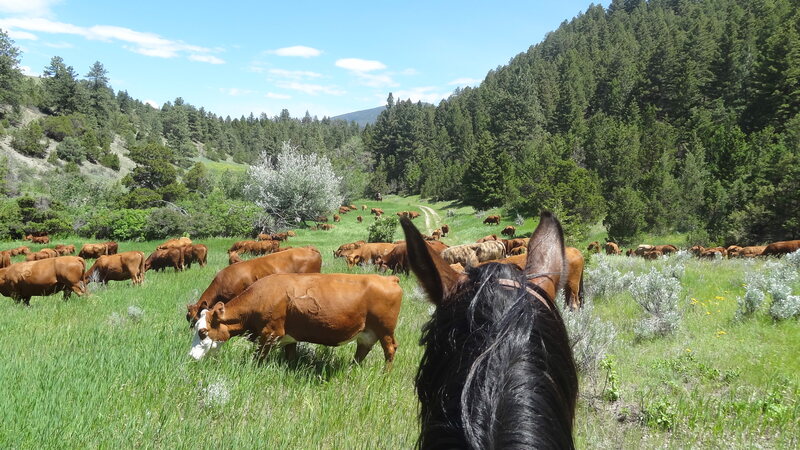 When I first arrived at Hidden Hollow Hideaway Ranch, I was beyond excited to be joining one of their cattle drives! My childhood summers as far back as I can remember would consist of my cousins, my sister and I riding off from the farm, across the fields in search of some cattle to round-up (much to my grandfather’s annoyance)! Hidden Hollow Hideaway is owned and run by the Flynn family whose roots can be traced back to the 1860s when Kelly’s ancestors followed the gold rush to Diamond City. Kelly, Jill and Siobhan Flynn were at the ranch whilst I was there and after welcoming the group and showing us to our rooms, it was time to ride. First though, we got to meet our steeds and it gives me great pleasure to introduce to you the beautiful ‘Cub’ – and what an absolute gentleman he was too. As it happened our first full day of the week was the cattle drive itself. I’m not entirely sure what I was expecting, but it was everything I hoped it would be! 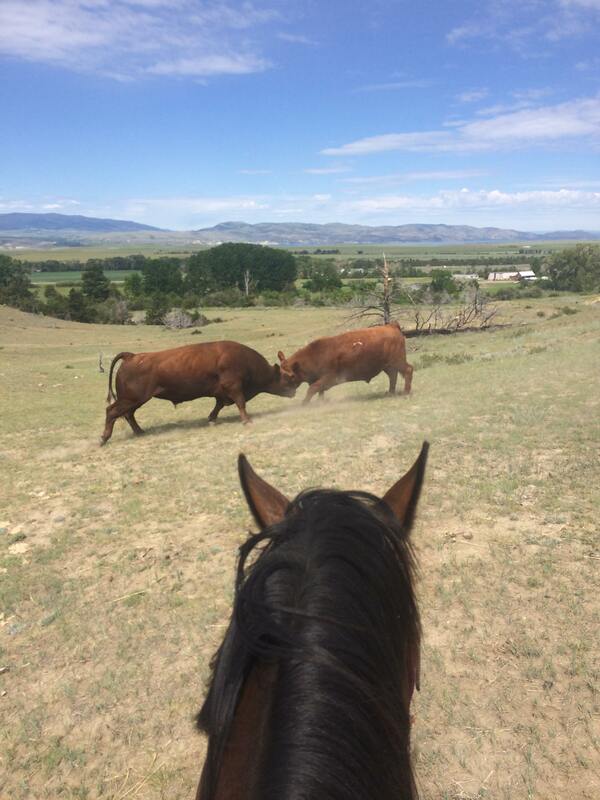 The bulls were sometimes more interested in each other than moving on. 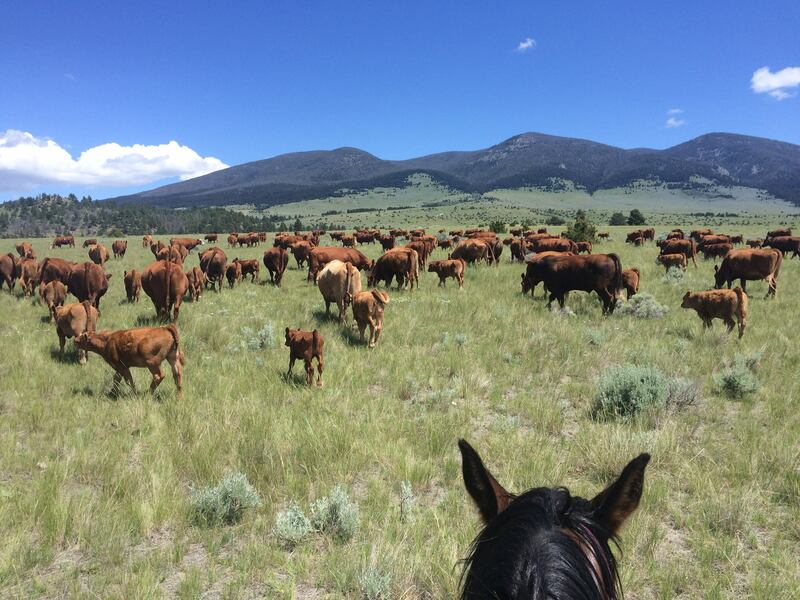 After we had brought the whole herd together and crossed the river, we proceeded to drive the cattle up towards the mountains. Kelly explained to us all that it was really important to keep the calves up in the middle of the herd. This was because once the herd is moving and they separate from their mothers, they try to go back to where they last fed. In this case it would be several miles back down the mountain and so we all worked hard driving the herd from the back and sides. Once we had navigated up through forest paths, down ditches and over streams, it was time for what Kelly called the ‘stampede’! I’ll admit I wasn’t quite sure what to expect……. About a mile along from where we were, the track became narrow and twisted downhill through a section of forest. This is where the cattle would start to run due to the downhill momentum. At the bottom they needed to be turned 90° right so that they didn’t head straight into a deep gully….. and guess who got taken along with Kelly…. yep it was me! I’ll be honest – it was exhilarating! We sped around and ahead of the cattle before dropping down and through the forest. Before we’d even gotten to the bottom of the track, we could hear the herd picking up the pace, the sound of their hooves echoing through the trees. 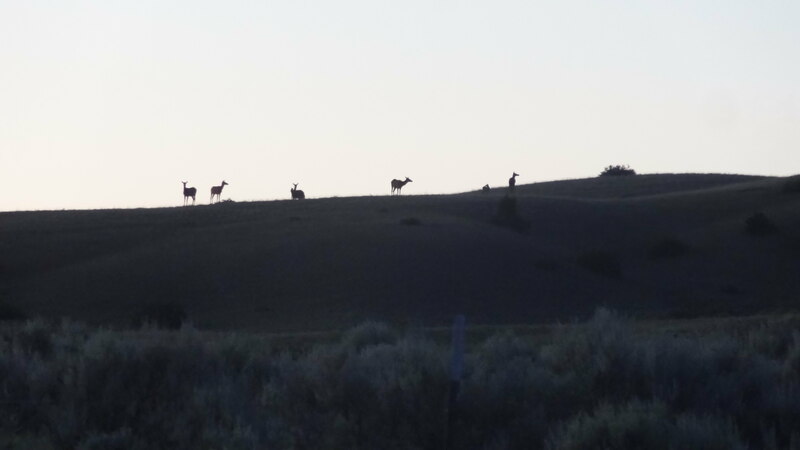 I’m glad I didn’t try to take any pictures during the stampede but here is a nice one at the bottom of the hill once the herd had settled again. My angel Cub stood like a rock the entire time. 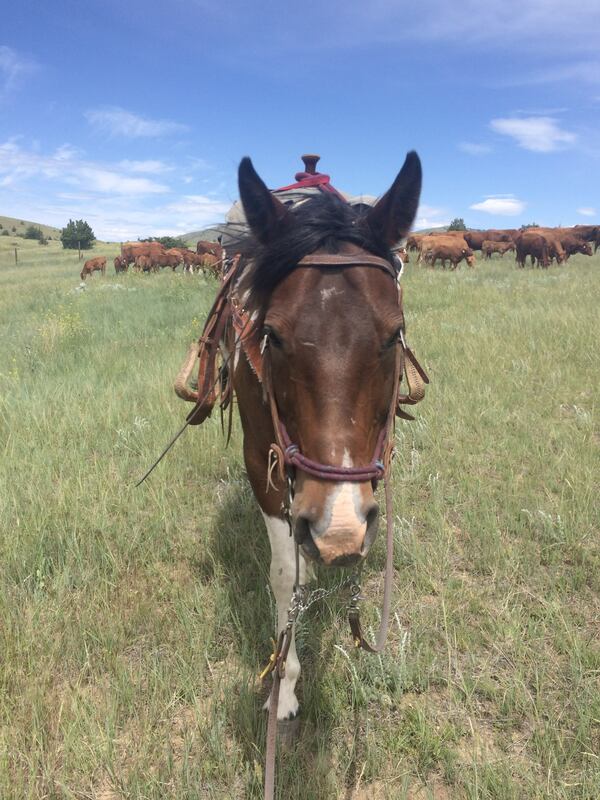 Although it was a hard 7 hours in the saddle, it was the cattle drive I have always dreamed of! And the view from the top was just …..WOW….. The riding during the rest of the week was an array of trails across the beautiful countryside. Siobhan told us stories as we rode which made the hours slip by far too quickly for my liking! In the afternoons when we weren’t riding, there was the chance for gold panning, rifle shooting or even fishing if we didn’t want to relax. 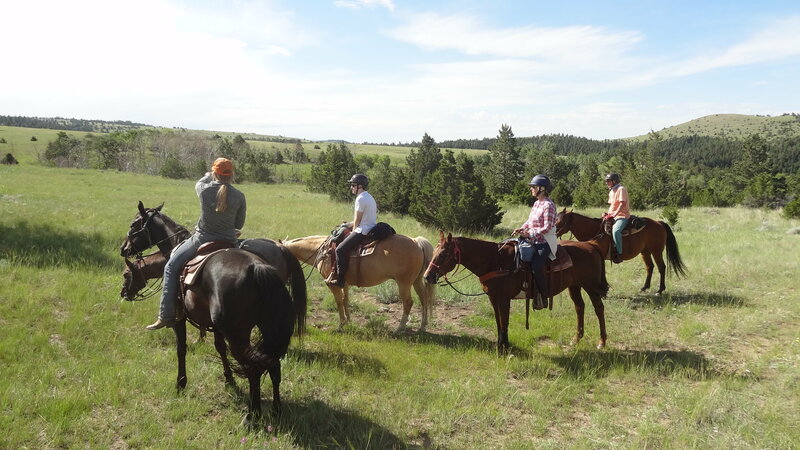 Hidden Hollow Hideaway is a working ranch and so every week is different depending on what needs to be done. 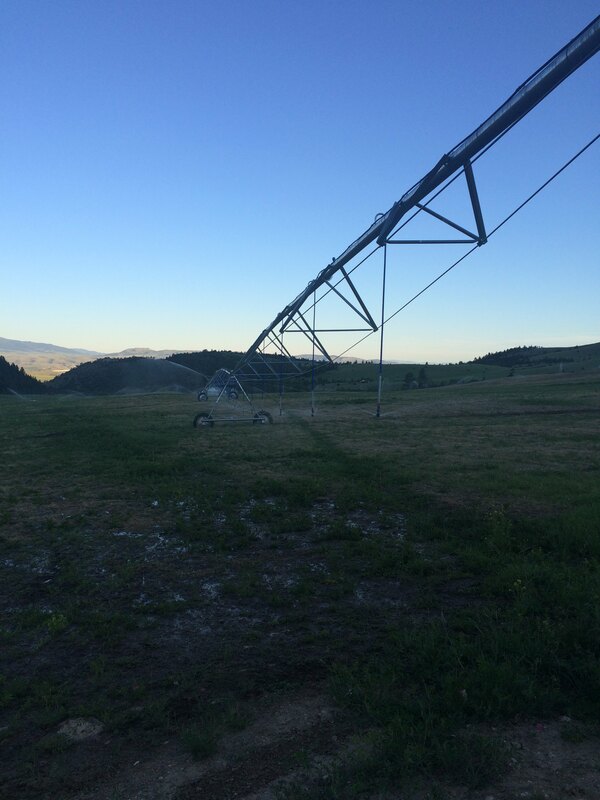 However something that always needs doing is changing the irrigation pipes. One morning I volunteered to meet Kelly at 5:30 and help him. It was great to hear all about how he set up the pipes to run water uphill and how each of the different systems work. It really put into perspective how much work is done behind the scenes – and also helped work up an appetite for breakfast! Working at sunrise on the irrigation pipes. Jill’s cooking throughout the week was another highlight for me. The family style, help yourself approach worked really well and we would all sit around the table together each meal time. There was a different desert each evening which was brilliant but I was slightly worried I wouldn’t fit back into my jeans by the time I left! Each evening there was the option to go with Kelly on a wildlife drive. I remember finding these drives really interesting and learned to identify several different dear types as well as being lucky enough to see mountain goats! There is no wi-fi at the ranch which is really nice. 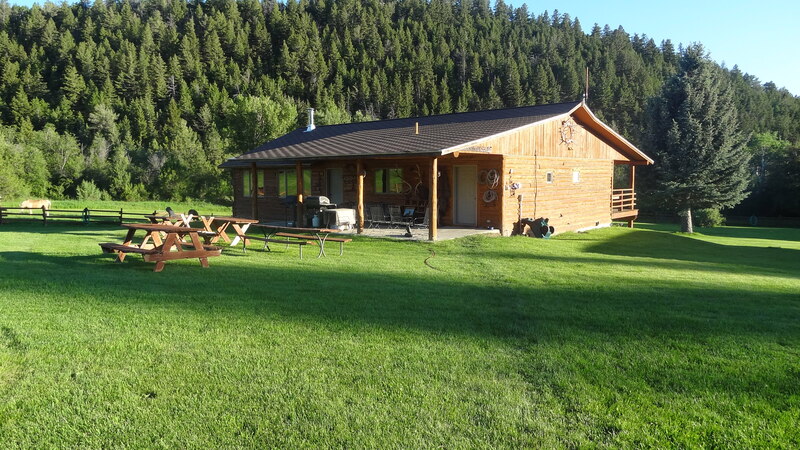 It allows you to just get away from everything and really get immersed into rural Montana life. 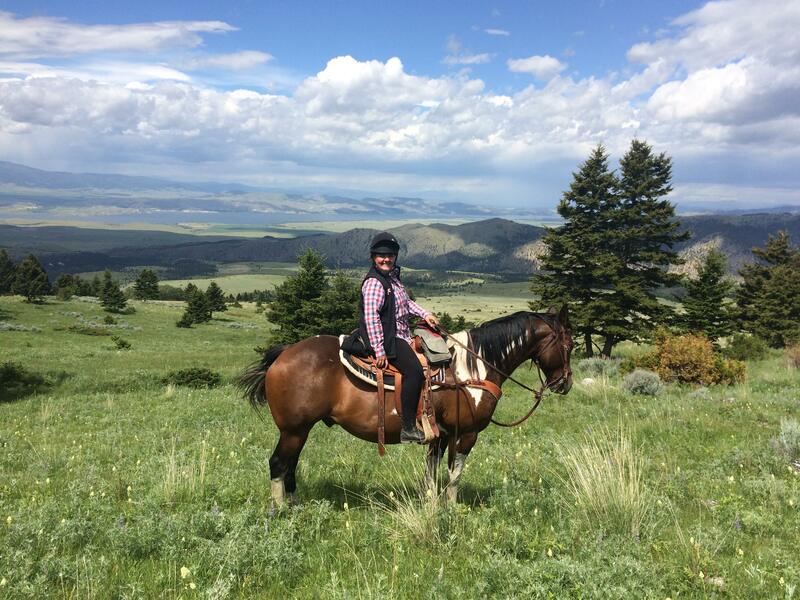 With the big belt mountains behind you and the brilliant horses you get to ride, you can just forget about everything else and enjoy your surroundings. If I had the opportunity, I’d be back out there in a heartbeat. And the last picture has to be of Cub.